Are you hotheaded or chill behind the wheel? Take this test to find out. See where you fall on the Deffenbacher Driving Anger Scale. Traffic can really mess with our minds. 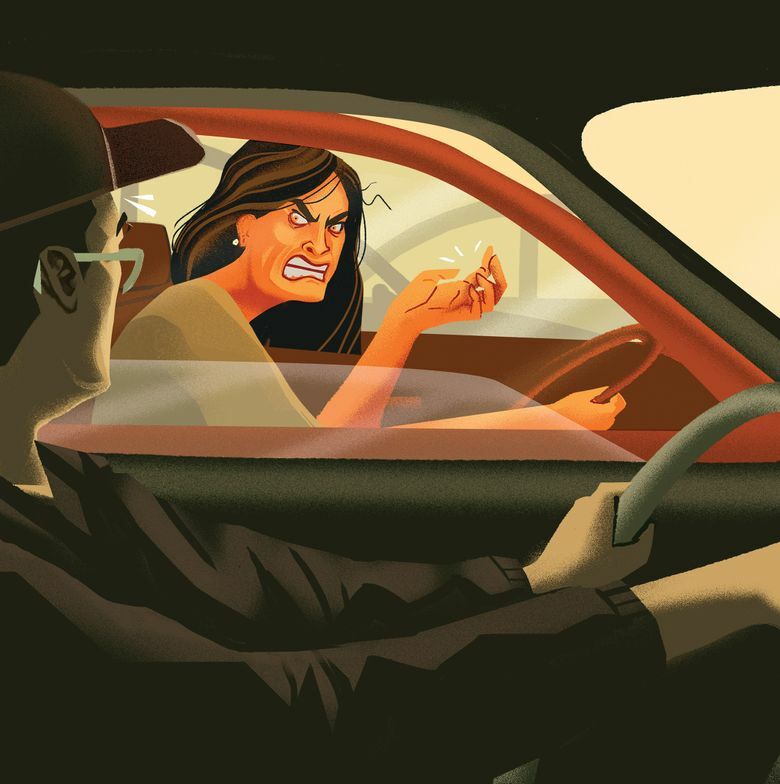 Why do so many perfectly nice people turn into jerks behind the wheel? And for the sake of our safety and sanity, is there anything we can do about it? I dug into psychology to find the answers after experiencing my own over-the-top moment. Are you hotheaded or chill behind the wheel? Test yourself below, then read eight tips on how to be a more mindful driver. You’ll feel better, really. Instructions: Imagine that these situations were actually happening to you, and rate the amount of anger each would provoke. • Someone is weaving in and out of traffic. • A slow vehicle on a mountain road will not pull over and let people by. • Someone backs right out in front of you without looking. • Someone runs a red light or stop sign. • You pass a radar speed trap. • Someone speeds up when your try to pass him/her. • Someone is slow in parking and is holding up traffic. • You are stuck in a traffic jam. • Someone makes an obscene gesture toward you about your driving. • Someone honks at you about your driving. • A bicyclist is riding in the middle of the lane and is slowing traffic. • A police officer pulls you over. • A truck kicks up sand or gravel onto your car. • You are driving behind a large truck and cannot see around it. Scoring: Add your 14 answers. Less than 42: You’re pretty chill behind the wheel! 42 to 52: You’re in the middle of the pack — a little mad, but not too much. More than 52: You’re a real hothead.